When it comes time for a guy to pop the question to a loved one, he must be aware of the kind of engagement ring the woman wants and her ring size. Throughout your time together, you can gather information to help you decide what ring will be the best choice as she will undoubtedly drop hints about what she really likes. Once chosen, you must also be aware that the ring will be expensive. Although the lowest prices seem to be on the web, you can also find great deals at stores. There are seasons and times when rings of this quality are put on sale. If you spend the time, you can find diamonds at a discount. 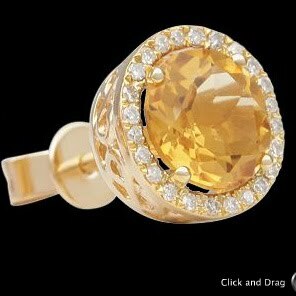 In Abazias.com you can buy a loose diamond now and a ring setting later on which will allow you to save money for the next step. Once purchased, you must also have a romantic plan in which to present her the ring. Many choose the most famous love holiday of all, Valentine’s Day, while others pick other holidays such as birthdays or even Christmas. While that may be a good idea for some, it can be any day and it will be appreciated no matter when you decide to make the leap. It is imperative that you pick a spot that has meaning to the both of you as this memory will last forever and will be very near and dear to her heart. The location of your first date or where you were when you first felt love for her are good options. Remember, this is the woman who will be your wife and you must make it a memorable day out of respect and love. Whatever the circumstance, diamonds will make that day special along with the love that you express to her by asking her to marry you. The best thing about Abazias.com is their ‘Build Your Own Ring’ feature which allows you to either start with choosing the setting or start with the rock. If your boyfriend knows you well and knows what kind of diamond you would love to wear then Abazias.com is perfect for you. 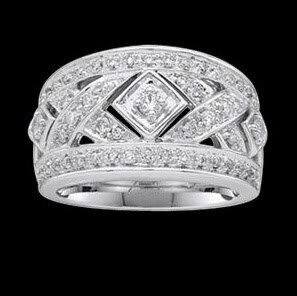 I myself would prefer the asscher diamond on a tapered cathedral setting, just a classic and elegant cut. So for those ladies who are ready like me, go ahead and envision your perfect engagement ring by trying out their ‘Build Your Own Ring’ feature — he just might see you browsing the Abazias.com and get a hint as well. i loooooove all the jewelry! the 3rd one is the best for me too! those rings are just gorgeous!! Wow, this might be a great site to browse while the hubby is busy doing something at my back…at least he can take a glimpse of it hhahaah!!! !